On his recent album ‘Atmospheres Vol. 2’ – released earlier this year via Cologne label Modularfield – Denver based musician and composer Ann Annie used modular synthesis to craft ambient music of a spellbinding quality, an almost disarming sense of calm and a dreamlike sense of space. Over the course of seven tracks, the jazz trained artist impeccably and tastefully fused organic and natural textures with electronic swirls and streams to create a collection that felt at once introspective and liberated, meditative and empowering. Crucially, it accomplished what contemporary ambient music often struggles to in that, despite its reservation and poise, it felt purposeful, precise and determined in its transportational tact. It’s something that speaks to the relationship between modular synthesis and ambient music on the whole, where small alterations made to specific modular patches create a half-random, half-composed sound that perfectly embodies the subtlety, vastness and impressionism captured by those styles. Ann Annie is just one of several artists whose YouTube channels have become popular safe havens from the Internet hellscape, where we can instead find oddly comforting shots of modulars in serene rooms and spaces. In these videos we hear mesmerising sounds played with only the most occasional guidance, lending to the meditative, floating quality of music. 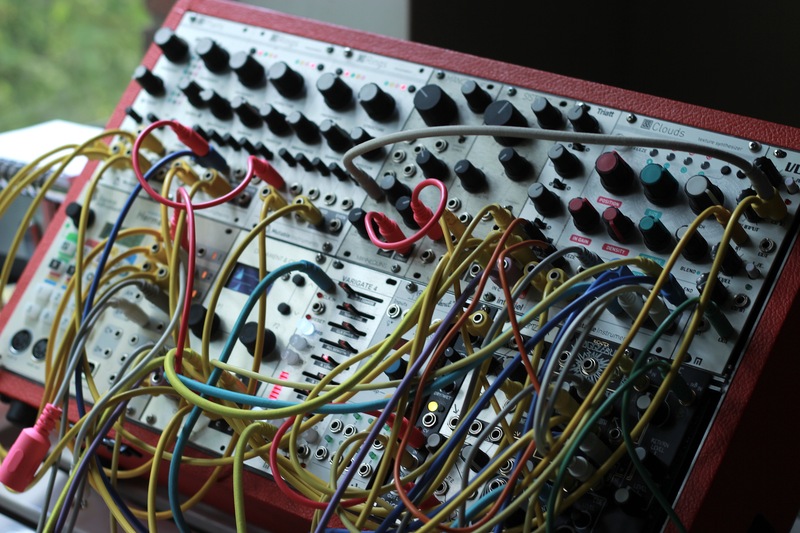 It is on that channel, as it is with other artists like Emily A. Sprague and Lightbath, that Annie has developed his keen following, both among fellow modular aficionados, budding synthesists and followers who just want to enjoy the serene sounds. When Annie discovered the wide-open and liberated capacity of modular he was immediately captivated, he says, having previously played guitar and keyboards in bands as well as running a recording studio. Annie has two more releases set to drop this year. The first, ‘Missif’, drops in July and is what he describes as a “Modular Sonata” and will be available on tape and digitally. The second will be another full length LP set to drop later in the year. Before all that happens though, we wanted to catch up with the modular innovator to learn a bit more. He was also kind of enough to give us an exclusive recording of a live modular set exploring lush ambience and soundscapes over the course of an enchanting 40 minutes. Check it all out below. The last track that blew my mind was Marcus Fischer's ‘Variation One’ from ‘Film Variations’. I usually have hard time remembering dreams, but the last one I remember was warm, I was with my best friend in a grayish building, she spoke to me, although I couldn't hear what she was saying the emotion was conveyed, the scene faded into a colder setting. I found myself running alongside a river whose water flowed in circles. My favourite album to relax to is definitely "Saudade" by r beny. So many, but right now, "The Place Beyond the Pines". I've really been into Hokusai and traditional Japanese art recently. What is the most precious record you own? The most precious record I own is Led Zeppelin Houses of the Holy. It was the first record I ever bought. If I had to choose just one, The Album Leaf. What's your proudest moment as an artist? My proudest moment as an artist was discovering the music and way I wanted to create it. It was sort of a snap, as soon as I had the idea, it clicked and felt right. What's an avocado's favourite type of music? Guac and roll! You can buy 'Atmospheres Vol.2' here. Want more? Check out our recent Fresh Kicks mixes with Coco Bryce and Fathia.